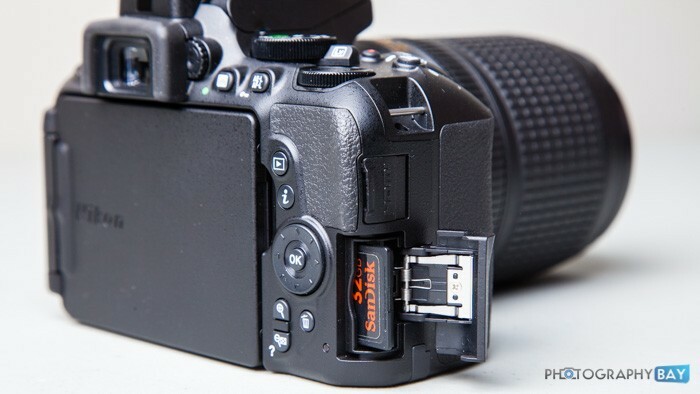 Memory cards matter quite a bit when it comes to your expectations and experience with a DSLR. The Nikon D5500 accepts most modern SD cards, including SDHC and SDXC cards, and takes advantage the speed boost from UHS-I (Ultra-High Speed Type I bus) cards. For a broader explanation of SD card types and designations, see my prior article Demystifying SD Cards. Below, I have tested a few different memory cards in the Nikon D5500 to demonstrate the positive effects of buying a more capable memory card and to highlight some specifications of particular cards that might make them a better fit for the D5500 and similar cameras. The performance chart below should be pretty self-explanatory but let me detail it out a little further for the sake of clarity. We have the product labeling to identify it as accurately as possible. 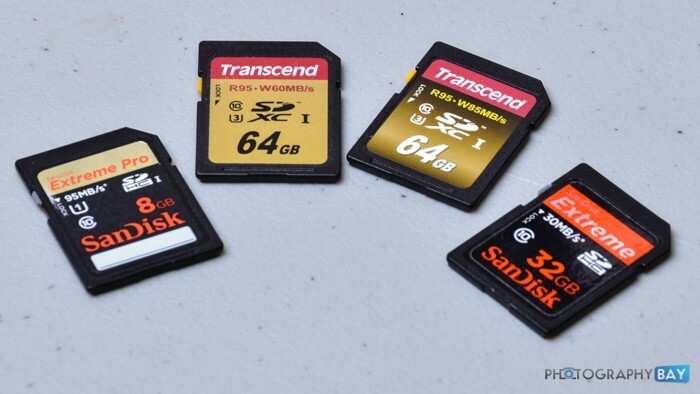 SD cards are a mess with their symbols and abbreviations, which is why I wrote the Demystifying SD cards article mentioned above. In addition, I provide a link to a reputable online vendor for the specific card in the first column and further specify the bus-type and class ratings for the card, as well as the capacity. With each card, I performed three tests in camera and one test on the computer to help verify the numbers and performance we see in camera. The initial burst is often cited as the biggest spec feature and I have it listed, along with the frame rate provided. Additionally, I spell out what happens after the initial burst in terms of continuous frame rates after things slow down. The final numbers show the actual sustained read and write speed to read and transfer a 1GB file in the card reader of an iMac. These are the cards I had on hand to test with the D5500. If this is something you find helpful, let me know in the comments at the bottom of the page or in the forum and I will try to get my hands on more cards to test with more cameras. If you have a card/camera combo you are interested in, specify it and I will see what I can do.